We can make that dream a reality. so I can't go on a long trip. I can't find anywhere to receive dialysis in the Hokuriku region. I can't find a hospital performing dialysis in a private room. I can't find a place for receiving high-grade dialysis. 1.Enjoy your long-term vacation to the Hokuriku Region with peace of mind. 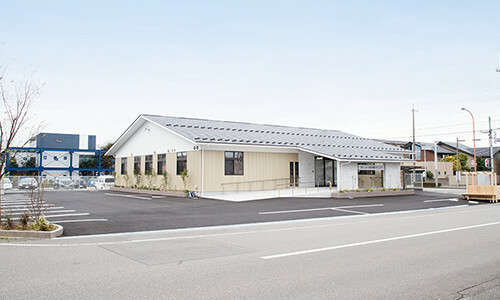 2.Our hospital is located in a time-efficient location in close proximity to the main sightseeing spots in Kanazawa. 3.Patients can receive Japan's high-grade dialysis while on vacation. 4.Payment can be performed by credit card. 5.Make procedures at the hospital smooth by going through a travel agency. 6.Use us as many times as you like as your family physician in Kanazawa. Please make a reservation with us through the tour company you used to plan your trip. Have the doctor you regularly see write up a letter of introduction and dialysis records for you. Please send your dialysis records to us in advance by fax. Show your letter of introduction from your main doctor and other documentation at our reception desk. First-time patients will need to fill out a medical questionnaire. We have separate men and women's locker rooms. Please use the appropriate room to change into the proper attire to receive dialysis. We perform blood pressure and body weight measurements before dialysis begins in order to track changes of water amounts in the patient's body. Now we're ready to start dialysis. The time required for the procedure will vary depending on the patient. We have devices available to watch television or DVDs while you receive treatment. If you would like to use your smartphone to browse the internet, you may make use of our Wi-Fi as well.